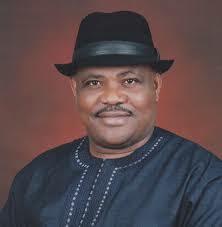 Rivers State Governor, Nyesom Ezenwo Wike has declared that the re-election of the Bayelsa State Governor, Rt. Hon. Seriake Dickson is a victory for democracy in the face of unrelenting external forces. In a congratulatory message to the Bayelsa State Governor, following his re-election at the conclusion of the supplementary governorship election, Governor Wike said that the will of the people of Bayelsa State has prevailed as they have resolved to remain with the Peoples Democratic Party, PDP. A statement issued by the Governor’s Special Assistant on Electronic Media, Simeon Nwakaudu, pointed out that the people of Bayelsa State exhibited the true Niger Delta spirit which abhors oppression and injustice. He said that with the re-election of Governor Seriake Dickson, a clear message has been sent to the dark forces of rigging and electoral manipulation that they will never find accommodation in this geo-political zone. Governor Wike specifically commended the good people of Bayelsa State for being vigilant all through the governorship election process, saying that their hard work and dedication to the enthronement of democracy have been rewarded by the re-election of a true Niger Delta patriot. The governor stated that the people of the Niger Delta remain dedicated members of the Peoples Democratic Party, PDP, because that is the only political platform that gives Niger Delta issues the priority they deserve, while the others are only interested in the pecuniary benefits which flow from the area. While rejoicing with Governor Dickson, the Rivers State Governor expressed confidence in the ability of the Bayelsa State Governor to consolidate on the democracy dividends which he availed the Bayelsa people during his first term.